Acknowledging teens’ critical role as the next generation of leaders, Bank of America provided 230 high school juniors and seniors – including five from Chicago – with a paid, eight-week summer internship at local nonprofit organizations. These students gained hands-on experience and learned invaluable leadership skills while providing support to nonprofits in critical need of resources. “Bank of America is committed to creating positive change in the Chicago communities where we live and work through our philanthropic initiatives. 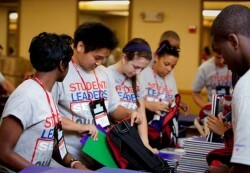 The Bank of America Student Leader program supports our long-standing belief that investing in leadership – from students to nonprofit leaders – is critical to revitalizing the economic and social health of local communities,” said Diane Wagner, senior vice president of Bank of America. 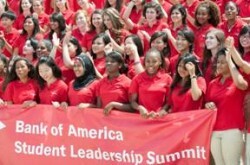 For more information about Bank of America Corporate Philanthropy, please visit www.bankofamerica.com/foundation.